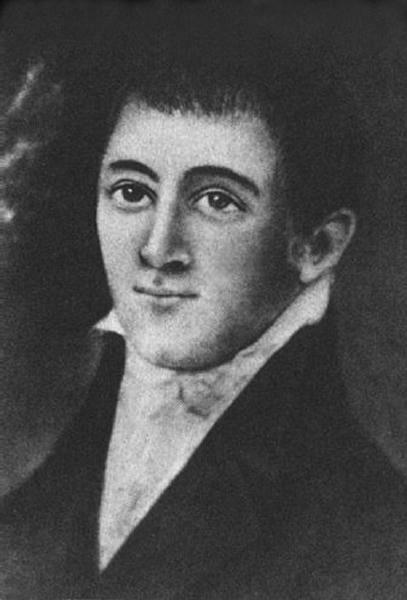 John Archer Elmore was born on 21 August 1762 in Prince Edward County, Virginia. He married Mary Ann Sarah Saxon, daughter of Benjamin Saxon and Elizabeth Perry, on 1 March 1788 in South Carolina. He married Mary Ann Martin, daughter of John Martin and Elizabeth Dickerson Terry, on 14 March 1805 in Abbeville District, South Carolina. John Archer Elmore died on 24 April 1834 at age 71 in Autauga County, Alabama. He was interred at Huntington Cemetery, Autauga (later Elmore) County, Alabama, his old homeplace. A short biographical sketche of John Archer Elmore appears in Alabama, Her History, Resources, War Record, and Public Men, from 1540 to 1872. Elmore County, established by the Alabama legislature on 15 February 1866 from parts of Autauga, Coosa, Montgomery and Tallapoosa counties, was named in honor of General John Archer Elmore, a veteran of the American Revolution and early settler of Alabama. The following appeared on 22 February 1916 in The Houston Post: (New Waverly, February 21) Mrs. Mary Martin Elmore Scott, who is said to be the only real Daughter of the American Revolution in Texas, died last night at 8:15 p. m. at the home of her daughter, Mrs. Joe R. Hill, here at the age of 92. Mrs. Mary Martin Elmore Scott was born at her father's estate in Huntingdon, Autauga county, Alabama, on November 23, 1823. This county was afterwards named Elmore county in honor of her father, John Archer Elmore. Her father, John Archer Elmore, enlisted at the age of 16 as a private and served as captain in the army of Virginia and took part in the battle of the cow Pens, and witnessed the surrender of Cornwallis at Yorktown. He also served his country n the war of 1812 as brigadier general of State troops in alabama. Her maternal grandfather was captain of a cavalry in the continental army of George Washington and served in Carolina. Mrs. Scott moved to Texas in 1856 and was one of the pioneer settlers of Old Waverly, Texas, a station eight miles east of New Waverly, Texas. Mrs. Scott's first husband was Hamlin Freeman Lewis, and was a brother of Dixon H. Lewis, who was United States senator of Alabama for 19 years. Hamlin F. Lewis died when 36 years of age in Angelina county, near Lufkin, in 1852, while he was bringing his slaves from Alabama to a place he had bought near this place. Mrs. Scott last married Dr. James E. Scott, who was a Methodist minister and a prominent physician of the scetion. Dr. Scott died in 1893 and was buried at Willis. Mrs. Scott is survived by the following children by her first husband, Mr. Lewis: Mrs. J. M. White of Simonton, Texas; Mrs. Annie Jordan of Long Beach, Cal; and Mrs. Elmore Hill of New Waverly, Texas. She is survived by Mrs. Joe R. Hill, daughter of Dr. Scott, besides numerous grandchildren and great grandchildren. Mrs. Scott will be buried Tuesday afternoon at Willis, Texas.